About the prints: I print on a premium substrate that is unparalleled in depth and luminosity. The material refracts light in such a way that light travels laterally through the paper as well as reflects to the audience creating a brilliant effect that many mistake to be rear illumination. Each print is then face mounted to acrylic and sandwiched to a protective backing. The artwork is then framed or a recessed mount is added to the back to float on the wall. I offer Tabacchino and other handmade framing options. Available starting at 30”x40" and as long as 120” with custom sizes in between. 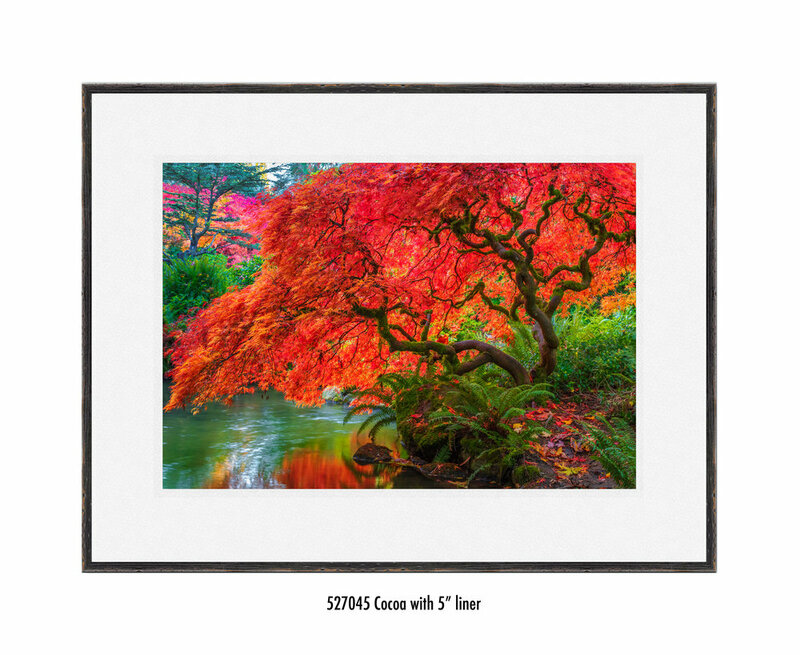 Below are examples of a 40” edition in a variety of frames with and without liners. More arrangements are available. Liners are available in Black, White, Beige. See FRAMES in the menu above for more frames and liner options. I normally respond quickly. Please check your spam for my response or connect with me using the chat box in the corner of the page. 10 Payments. 10 Months. No interest. no fees.